The concierge area at westdrift, which features a beachy, residential feel even it it’s 35,000 sq. ft. of public areas. The hospitality industry is rapidly changing. A thousand rooms were added in the general Los Angeles area last year, and very few of those rooms bore much resemblance to hotel rooms of the past. Gone are the standard issue, interchangeable, comfortably bland rooms that were mainly designed for sleep, with maybe a decent restaurant and a place for stiff drink thrown into the mix. These days, hotels are meant to be more than a mere stopover. Bauer has been a rising star in the industry for the past decade. Her experience includes overseeing 10 hotels and 120 managers for a large hotel chain, as well as managing the Sofitel in Redwood City. Of late, she’s become accustomed to the sound of jackhammers. Two of her last career stops involved overseeing large renovations, first at The Lodge at Tiburon, and then the Marriott San Mateo in San Francisco — the company’s flagship property, where she managed an $11 million overhaul. The lobby at westdrift, with a design aesthetic in part borrowing from the Manhattan Beach pier. But nothing quite prepared her for the reinvention of the Manhattan Beach Marriott. Bauer was brought in last year as part of a team tasked with a total makeover of the city’s largest hotel, but in this case, the renovation occurred while the hotel stayed open for business. The hotel was sold for $78 million to a new ownership group in 2016. It remained in the Marriott family, but as part of its newer, more creative, boutique-style hotels known as the Autograph Collection. The idea of this division is that each hotel, like an autograph, is utterly unique, but as a collection there is a common thread — for example, all 130 hotels in the Autograph Collection are part of an unusual partnership with IFC and the Black List called the Independent Film Project. 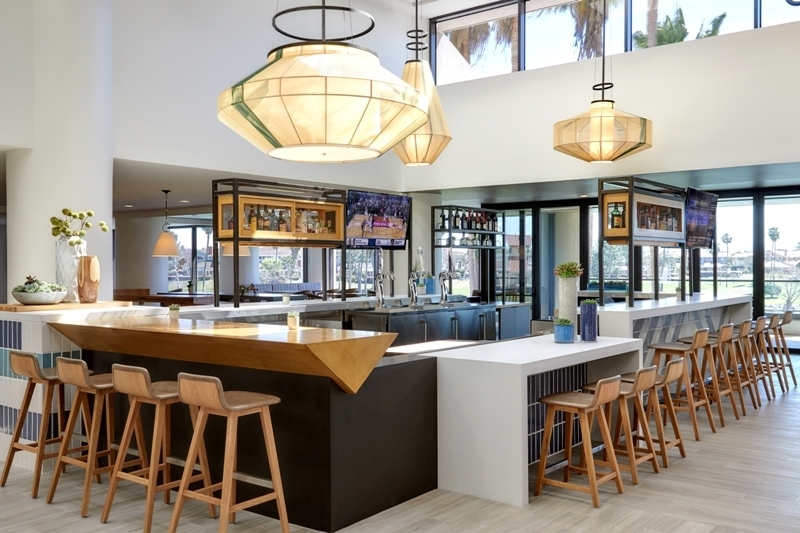 In Manhattan Beach, Bauer, Leary, and their team were likewise asked to come up with a story: the story of an old hotel made very new and yet somehow more specific to the place itself. Any good story begins with a name. The hotel’s creative team spent months researching, consulting with the Manhattan Beach Historical Society to better understand the deeper nature of the town. Thus westdrift was born. The Jute bar, which features local beer and a rotating cast of 16 mixologist-devised handcrafted drinks. The patio at Jute, the Hotel’s signature restaurant. The new hotel opened this spring. It features 393 coastal-infused luxury guest rooms and suites, 112 featuring private balconies. 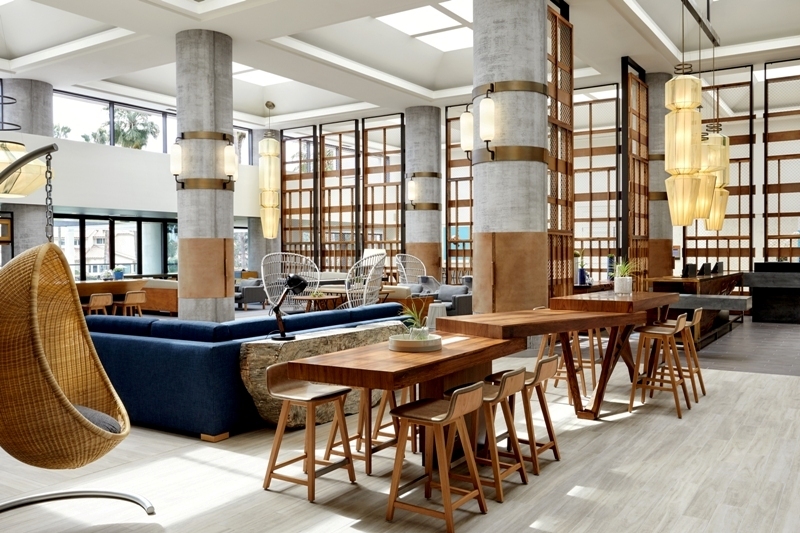 The lobby features a custom Argentine driftwood check-in desk framed by striking wooden columns with metal accents inspired by the Manhattan Beach pier. 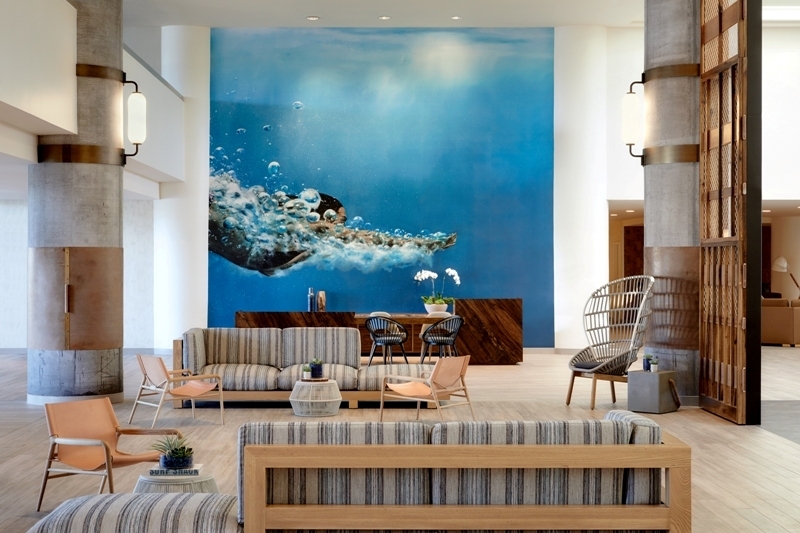 Artwork by Sausalito photorealist Eric Zener, known for his water paintings, is featured in each room and throughout the property. 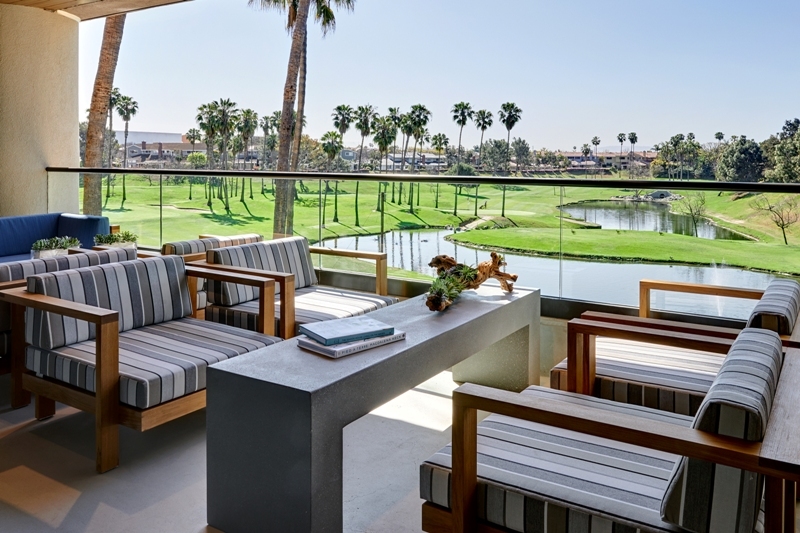 The hotel also features a 9-hole, par-3 golf course, an outdoor pool flanked by cabanas and a CrossFit-inspired fitness center, and more than 35,000 square feet of indoor-outdoor event space, including 18 meeting rooms, and a traditional ballroom and garden level event space, ShoreAcre. 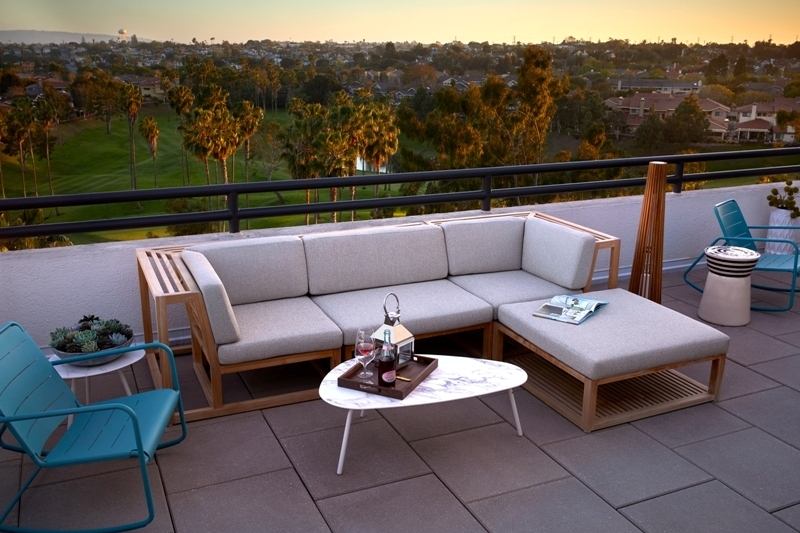 An executive suite patio at westdrift. The architecture throughout borrows from a residential, indoor/outdoor modern California aesthetic. “That is what people are craving now — they want it to feel like a home away from home, a cozy space,” Leary said. The hotel’s signature restaurant, Jute, is located at the lowest level, with an extensive mixology “lab” featuring a rotating collection of 16 handcrafted drinks (many featuring herbs grown on the property), beers from local breweries, and garage doors that open to an outdoor hangout space called “the backyard.” Westdrift lured a top shelf culinary talent, Octavio Sabado, who formerly worked beside famed chef Jose Andres at the SLS Hotel, to serve as executive chef. But Bauer says the idea is “small f, large b” — that is, the focus is on beverages, with really good, artisanally-sourced culinary offerings as an accompaniment.